Musicians aboard an interisland steamer in the 1920s. 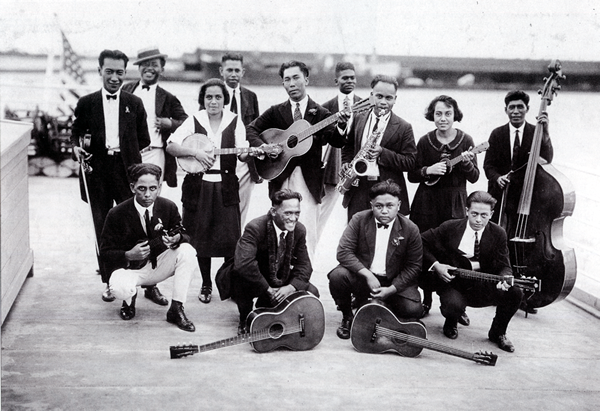 Tai Sing Loo, “Musicians,” Hawaiian Historical Society Historical Photograph Collection, accessed April 21, 2019, http://www.huapala.net/document/7. This item has no relations.